This outstanding example of a 2019 MINI Hardtop 2 Door Cooper is offered by BMW of Annapolis. This MINI includes: STORAGE PACKAGE SIRIUSXM SATELLITE RADIO HD Radio Satellite Radio SIGNATURE LINE PACKAGE Keyless Start Transmission w/Dual Shift Mode Tires - Front All-Season Tires - Front Performance A/C Climate Control Generic Sun/Moonroof Power Door Locks Keyless Entry Tires - Rear Performance Sun/Moonroof A/T 6-Speed A/T Dual Moonroof Tires - Rear All-Season *Note - For third party subscriptions or services, please contact the dealer for more information. * Stylish and fuel efficient. It's the perfect vehicle for keeping your fuel costs down and your driving enjoying up. There is no reason why you shouldn't buy this MINI Hardtop 2 Door Cooper. It is incomparable for the price and quality. You've found the one you've been looking for. Your dream car. We look forward to seeing you soon! Please call us for more information. This outstanding example of a 2019 MINI Hardtop 2 Door is offered by BMW of Annapolis. Save money at the pump with this fuel-sipping MINI Hardtop 2 Door. Just what you've been looking for. With quality in mind, this vehicle is the perfect addition to take home. You could keep looking, but why? You've found the perfect vehicle right here. The MINI Hardtop 2 Door will provide you with everything you have always wanted in a car -- Quality, Reliability, and Character. We look forward to seeing you soon! Please call us for more information. This 2019 MINI Hardtop 2 Door Cooper is offered to you for sale by BMW of Annapolis. This MINI includes: TOUCHSCREEN NAVIGATION PACKAGE Smart Device Integration Navigation System Hard Disk Drive Media Storage MP3 Player STORAGE PACKAGE SIRIUSXM SATELLITE RADIO HD Radio Satellite Radio SIGNATURE LINE PACKAGE Keyless Start Transmission w/Dual Shift Mode Tires - Front All-Season Tires - Front Performance A/C Climate Control Generic Sun/Moonroof Power Door Locks Keyless Entry Tires - Rear Performance Sun/Moonroof A/T 6-Speed A/T Dual Moonroof Tires - Rear All-Season *Note - For third party subscriptions or services, please contact the dealer for more information. * Stylish and fuel efficient. It's the perfect vehicle for keeping your fuel costs down and your driving enjoying up. Beautiful color combination with Emerald Grey Metallic exterior over Carbon Black interior making this the one to own! The MINI Hardtop 2 Door Cooper will provide you with everything you have always wanted in a car -- Quality, Reliability, and Character. We look forward to seeing you soon! Please call us for more information. 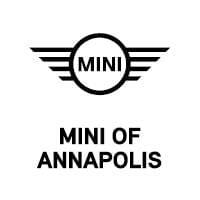 Contact BMW of Annapolis today for information on dozens of vehicles like this 2019 MINI Hardtop 2 Door S. This MINI includes: STORAGE PACKAGE SIRIUSXM SATELLITE RADIO HD Radio Satellite Radio JCW LEATHER STEERING WHEEL Leather Steering Wheel BLACK BONNET STRIPES HEATED FRONT SEATS Heated Front Seat(s) *Note - For third party subscriptions or services, please contact the dealer for more information. * Save money at the pump with this fuel-sipping MINI Hardtop 2 Door. You can finally stop searching... You've found the one you've been looking for. Just what you've been looking for. With quality in mind, this vehicle is the perfect addition to take home. We look forward to seeing you soon! Please call us for more information. This outstanding example of a 2019 MINI Hardtop 2 Door S is offered by BMW of Annapolis. This MINI includes: STORAGE PACKAGE SIRIUSXM SATELLITE RADIO HD Radio Satellite Radio JCW LEATHER STEERING WHEEL Leather Steering Wheel MIDNIGHT BLACK METALLIC HEATED FRONT SEATS Heated Front Seat(s) *Note - For third party subscriptions or services, please contact the dealer for more information. * Start enjoying more time in your new ride and less time at the gas station with this 2019 MINI Hardtop 2 Door. The MINI Hardtop 2 Door S will provide you with everything you have always wanted in a car -- Quality, Reliability, and Character. You can finally stop searching... You've found the one you've been looking for. We look forward to seeing you soon! Please call us for more information. This 2019 MINI Convertible Cooper S is offered to you for sale by BMW of Annapolis. This MINI includes: SIGNATURE TRIM WHITE BONNET STRIPES PREMIUM PACKAGE *Note - For third party subscriptions or services, please contact the dealer for more information. * The 2019 MINI Convertible Cooper S Convertible continues to beat the competition in nearly every way. A sporty driving experience that still maintains impressive levels of ride comfort, along with an exceptional, driver-focused interior make the MINI a recommended pick among convertibles. Everyone hates the gas pump. Skip a few gas stations with this super fuel efficient MINIConvertible. There is no reason why you shouldn't buy this MINI Convertible Cooper S. It is incomparable for the price and quality. We look forward to seeing you soon! Please call us for more information. This 2019 MINI Clubman Cooper S is proudly offered by BMW of Annapolis Save money at the pump with this fuel-sipping MINI Clubman. You can finally stop searching... You've found the one you've been looking for. You've found the one you've been looking for. Your dream car. Based on the superb condition of this vehicle, along with the options and color, this MINI Clubman Cooper S is sure to sell fast. We look forward to seeing you soon! Please call us for more information.